This integration works only with Salesforce plans that include an access to API. Note that LiveChat does not integrate with Salesforce Sandbox. We apologize for any inconveniences regarding this case. Setting up the integration is easy – all you need are your Salesforce credentials. After adding the integration you will unlock exciting new possibilities in the field of lead generation. Login to your LiveChat admin account and click on Settings > Integrations > Apps. Then, add Salesforce integration by clicking on Install button. You will get a confirmation that the integration has been successfully added. Now, click on the Salesforce button in the top right corner of your LiveChat dashboard and press the Connect button. This will connect your Salesforce account with LiveChat. 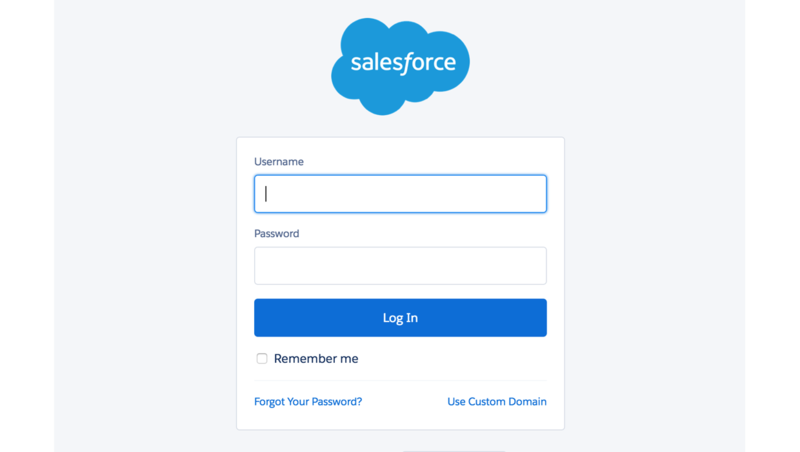 Provide your Salesforce Username and Password and click on Log In button. Note that all agents on your LiveChat account will have to provide their own Salesforce credentials. Note that this step will be omitted when you will be already logged in to your Salesforce account. On the next screen, the integration will ask you to grant LiveChat access to your Salesforce account – click on Allow in order to continue. Done! Now your Salesforce is integrated with LiveChat and you can start using it right away! Hopefully you have found this article helpful but if you have any additional questions, feel free to start a chat with us – we are available 24/7/365!